Blair House can wind up a successful spring carnival for trainer Charlie Appleby when he saddles Blair House in the Group One Mackinnon Stakes. Melbourne Cup-winning trainer Charlie Appleby has some unfinished business before returning home to the United Kingdom. Appleby won Tuesday's Cup with Cross Counter , supplying Sheikh Mohammed's Godolphin racing operation with it's first victory. Another two potential Group One races are on offer for Appleby and Godolphin at Flemington on Saturday. 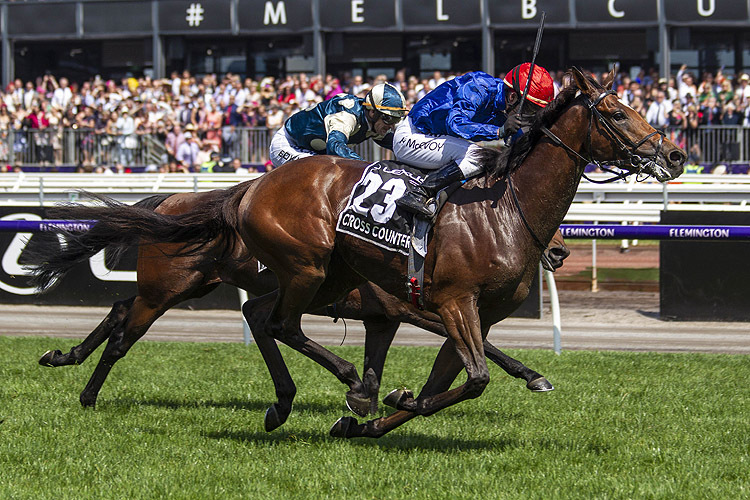 Appleby was the first of the international raiders to arrive in Melbourne for the carnival and claimed the Sir Rupert Clarke Stakes at Caulfield with Jungle Cat . A week later he finished a narrow second in the Caulfield Stakes with Blair House, beaten by fellow Godolphin galloper Benbatl. Jungle Cat and Blair House run at Flemington on Saturday, Jungle Cat in the VRC Sprint Classic and Blair House the Mackinnon Stakes. Blair House is listed as favourite in the Mackinnon Stakes. "He's backing up after running a very creditable second behind Benbatl who went on and franked that form finishing second to Winx," Appleby said. "And I purposely missed the Cox Plate for that reason. "I couldn't turn it around on Benbatl and I definitely wasn't going to get past Winx, so we've skipped the Cox Plate to go into the Mackinnon with fresh legs." Appleby said Blair House was moving nicely ahead of Saturday's race with the trainer unconcerned by what ground will be on offer. "He looks in great order and if he turns up in the form he was in the Caulfield Stakes I think they've got him to beat," Appleby said. "He's a versatile horse. He's won on cut in the ground, he's won on quick ground." UK-based jockey William Buick has been entrusted with the rides on both Blair House and Jungle Cat. Buick warmed up with victory on the James Cummings-trained Godolphin galloper Pohutukawa at Flemington on Tuesday. With a Group One prestige up for grabs, Appleby said it was important to gain as much of an advantage as possible, which is why Buick has flown in for to ride. "He's knows both the horses and that's important," Appleby said. "I'm in a very lucky position with William and James (Doyle) as they ride these horses in the UK and know these horses inside and out. "We've got some of the best jockeys in the world riding at the moment."